Young and old love to travel back in time at Deanna Rose Children&apos;s Farmstead, a 1900&apos;s turn-of-the-century farm complete with nearly 200 animals, historic main-street, a one-room schoolhouse and more. Given Kansas&apos; rich agricultural history, the Farmstead is the perfect place to not only see the intricacies of a farm, but also experience them. 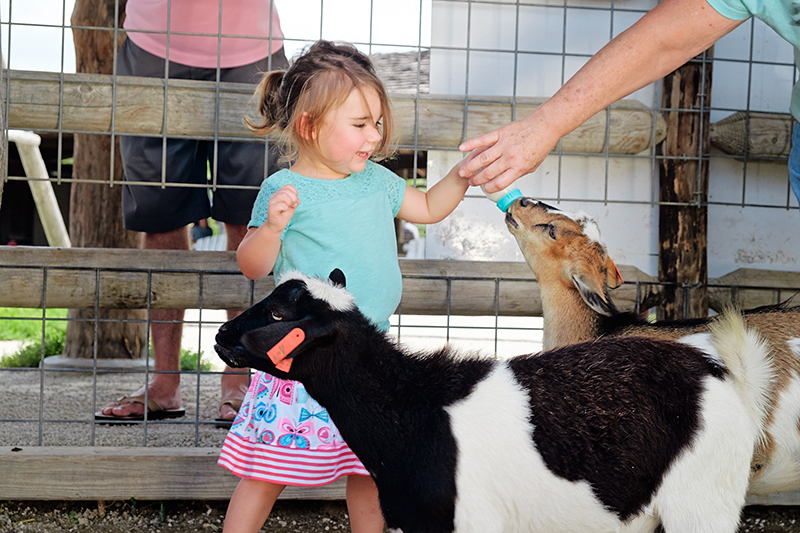 Kids enjoy plenty of hands-on activities including bottle-feeding baby goats, milking cows and taking a horse-drawn wagon ride through the woods. Tip: After a long day, don&apos;t forget to unwind with a delicious treat from Alex & Emily&apos;s Ice Cream Parlor and souvenirs - including old-time candy and toys - from Vic&apos;s General Store. For kids who love the iconic American Girl dolls, the place to be in Overland Park is the American Girl store at Oak Park Mall. Not only will you find shops for all of the American Girl characters, but your pint-sized doll aficionados will also find a full range of outfits and accessories, plus Creativi-Tees, a specialty shop where kids can create matching doll and children&apos;s T-shirts. One of the store&apos;s coolest features? A doll hair salon, where you child&apos;s American Girl doll can get a whole new look. Don&apos;t forget to check out the American Girl package at The DoubleTree by Hilton Hotel Kansas City - Overland Park, which includes special room decor, breakfast, a doll travel bed and additional dining discounts.